The best carpet cleaning prices in Nashville Vortex Cleaning LLC We’re your nearby carpet cleaning solution! Hurry! This Pricing Won’t Last! You can just pick up the phone and we’ll get you setup and ready to roll! We’ve tried to make the site simple to help you find what you need quick by providing navigation to help get you to what’s important now! Deep Steam and our Extra Deep Cleaning are Vortex Cleaning Exclusives! Going on our 12 year of serving Nashville and the surrounding area’s! All in all 16 years total experience serving up the best of the best! Conventional steam cleaning method. Lightweight fly away steam. Vortex Cleaning Deep Steam approaches the challenges of conventional low mass light weight fly away steam with a simple yet highly effective solution. Water temperature is what effects the mass producing higher pressure against tough soiling in today’s heavily soiled carpet. High mass steam penetrates dirt in carpet fibers and extracts better than low mass light weight steam. When we finish the job, customers are surprised at how much dirt we pull out. You can literally see it in the waste water! 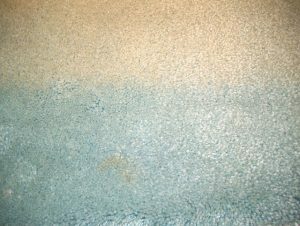 If you stay current with vacuuming and cleaning maintenance the water should never look filthy afterwards. That may sound a little strange but if carpet isn’t maintained on a regular basis dirt will put more wear and tear on your carpet reducing the overall life. 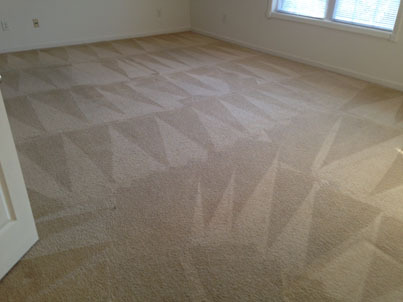 Professional carpet cleaners that we are we leave behind nothing but clean carpet! In the past carpet manufactures warrantied carpet that was cleaned with conventional steam methods. But today they no longer warranty carpet cleaned this way because over time they’ve learned that extreme heat can and does have a detrimental effect on fabrics and the weaves in the case of your carpet. Deep Steam creates the vapors more from the pressure than it does the heat associated with conventional steam methods. Killing germs is very important but it’s also important to extend the life of your carpet and keep it as close to the day it was laid to the day you call us in to clean. Focused vapor penetration! 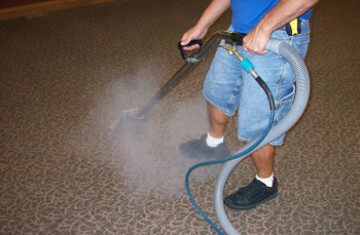 Deep Steam makes mold and mildew less likely to occur due to proximity of the extraction path being closer to the point of extraction Deep Steam extracts more water removing more moisture and dirt from carpet than hotter lighter weight steam that floats so many feet from it’s original application path. Covering a variety of subjects related to maintaining the carpeting in your home to topics to help you maintain a healthy lifestyle. Some of these topics will include but not limited to: Carpet Maintenance – Indoor Air Quality along with other valuable information from partner sites. Never to worry your information held with confidence and respect to your privacy! Your information is never shared unless you give us express permission to do so and you can unsubscribe hassle free anytime. Deep Steam ensures color steadfastness so colors won’t run or fade! The very same reason you don’t put colored fabrics in your washing machine on too hot of a temperature. Our proprietary blend of high quality natural cleaning solutions for a non toxic and environmentally green carpet cleaning with a smell you can count on , and a deep down clean you won’t get anywhere else. This allows us the benefit of leaving out unwanted and more importantly unneeded deodorizers used by our competitors that can leave behind sticky residues that can attract dirt from foot traffic. Are there rooms with heavy foot traffic soiling? Click the i information circle to learn more about our Extra Deep Cleaning Method! Do you suffer from airborne allergies? Click person icon to look at the best air purifier on the market! We cover a vast variety of indoor pollutants regularly. Scott from Vortex Cleaning accomplished markedly more than he anticipated. He was available for my schedule, and just in time for the holidays. He was on time, pleasant, and he worked very diligently and did not leave until the carpets looked the best he could make them. Scott was able to clean carpet effectively that I thought needed to be thrown out and replaced. He also cleaned my sectional couch that had dog stains and general dirt from about 5 years wear on it. I was very pleased with the outcome of the cleaning process of both the carpet areas and the couch. I recommend giving him a call if you are considering carpet and other hard to clean places that need professional help. I had some really bad high traffic areas and was even considering replacing carpet in 2 rooms! Thanks to Scott I don't have to do that now. I was very pleased with the outcome and it even looked better the next day! Copyright © 2007 Vortex Cleaning. All rights reserved.